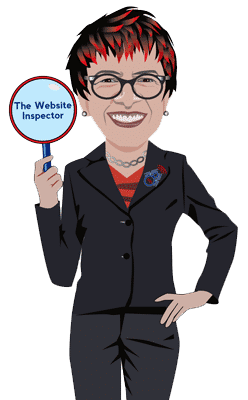 How Can The Website Inspector Help? We will have a 60 minute virtual consultation to understand the problems you have with your website. During the call, we will look at your business and your customers, review your website and I will provide you with practical steps to attract more sales or enquires. How well is the SEO performing on the website? How easy is it for people to find what they are looking for on your website? Does the content meet Google’s quality standards? How popular is your website on social media? How well designed and built is your website? How do you increase the number of enquiries you get? Do you want to get more income from your website? You can think of an audit like the health check you get when you move house and register with a new GP. It covers all the many factors that influence how well a website performs. A website audit is a must for any growing business and is essential for a robust marketing strategy. By identifying problems and taking actionable steps now, you can position your business for long-term growth and take steps to thrive online. How is the Website Audit Performed? As part of our consultation I will perform some tests that will give me an overview of how well your website is performing. I will then use my 20 + years of common sense experience to tell you what to do to get more from your website. This is not an automated analysis that you may struggle to understand. I will explain in everyday English what you need to do and how you can do it – all in just 1 hour.